A wide angle shot of a mature man riding a mountain bike to the camera on a trail in the forest. 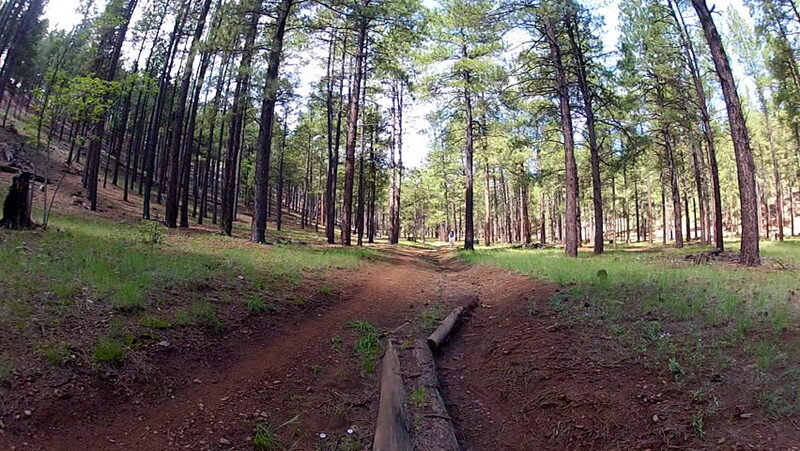 hd00:07FLAGSTAFF, ARIZONA/USA: July 22, 2015- A man in a pine forest rides a mountain bike toward the camera in a pine forest in fast motion time lapse photography. hd00:08A wide angle shot of a mature man riding a mountain bike away from the camera on a trail in the forest. hd00:12A scenic path through autumn woods. hd00:06Clip of a German Shepherd while walking on a footpath. hd00:20A low angle shot of a motorcycle rider wearing a light windbreaker coat and full face helmet riding a motorcycle on a rural highway with the sun over his shoulder. 4k00:12KINGMAN, ARIZONA/USA: April 4, 2015- A low angle "selfie" shot of a helmet-less mature man riding a motorcycle on Route 66 in the business district of a small Arizona town past historic buildings. 4k00:17LAS VEGAS, NEVADA/USA: May 3, 2015-A 'selfie" shot of a night motorcycle rider cruising under the bright lights of East Fremont Street. 4k00:13FLAGSTAFF, ARIZONA/USA: August 22, 2016- The point of view of a driver in the cab of a truck or recreational vehicle traveling across the high plateau of North Central Arizona on a cloudy day. hd00:22KINGMAN, ARIZONA/USA: May 15, 2015- A man walks away from the camera toward a distant RV camper in the Arizona Mohave Desert with clouds lit by the setting sun in the background. hd00:20A shot of a mature or middle aged man in the cab of an RV driving down the highway. hd00:30KINGMAN, ARIZONA/USA – MARCH 5, 2014: A low angle view of mature man wearing a helmet and riding a motorcycle in a small western town in winter. hd00:19GLAMMIS, CALIFORNIA/USA- March 12, 2015- A distant man walk toward the camera across a sandy desert that stretches to the horizon.